The Galapagos Islands off the coast of Ecuador are among the most protected, and therefore most pristine islands one can visit in the South Pacific ocean. Immortalized after Charles Darwin’s life-changing visit aboard the HMS Beagle in 1835 and the subsequent publication of his book The Origin of Species, the Galapagos loom large as a living, breathing testament to our understanding of evolution and the world we inhabit. To this end, the Charles Darwin Foundation was established in 1959 to further our understanding of the native ecology and continue to protect this natural resource for the good of the planet and generations to come. This is no small order, yet they’ve seen incredible success with their efforts to rebuild the Galapagos tortoise population that was threatened with extinction after decades upon decades of man preying on them for their meat and oil. With the introduction of the previous generation Aquatimer in 2009, IWC entered into a partnership with the Charles Darwin Foundation and created a limited production timepiece to honor and support their research and conservation efforts. This watch, the Galapagos Islands Edition Aquatimer, was unique with a stainless steel case coated entirely in vulcanized rubber, which not only made it far more tactile and easy to use in wet conditions, but looked completely badass. What’s more, the rubber coating wore like iron. I had the good fortune of owning one of these Aquatimers. During the time spent in my stable, it never once showed so much as a scratch, scuff or nick. Fast forward to the current generation of Aquatimers in 2014 and once more we see IWC honoring the work of the CDF. This time, however, there were three watches introduced – the updated “Galapagos Islands” edition, the “Fifty Years Science for the Galapagos” edition and the “Expedition Charles Darwin” edition. Of the three, only the “Fifty Years Science for the Galapagos” edition is a true limited edition, with just 500 made. The current Galapagos Islands edition also sports a vulcanized rubber coated stainless steel case, but has been updated with IWC’s in-house c.89000-series flyback chronograph movement and the uber slick “SafeDive” ratcheting bezel system, the latter of which is ridiculously addictive to fiddle with. Fast forward further to now and we get to the point of this piece. 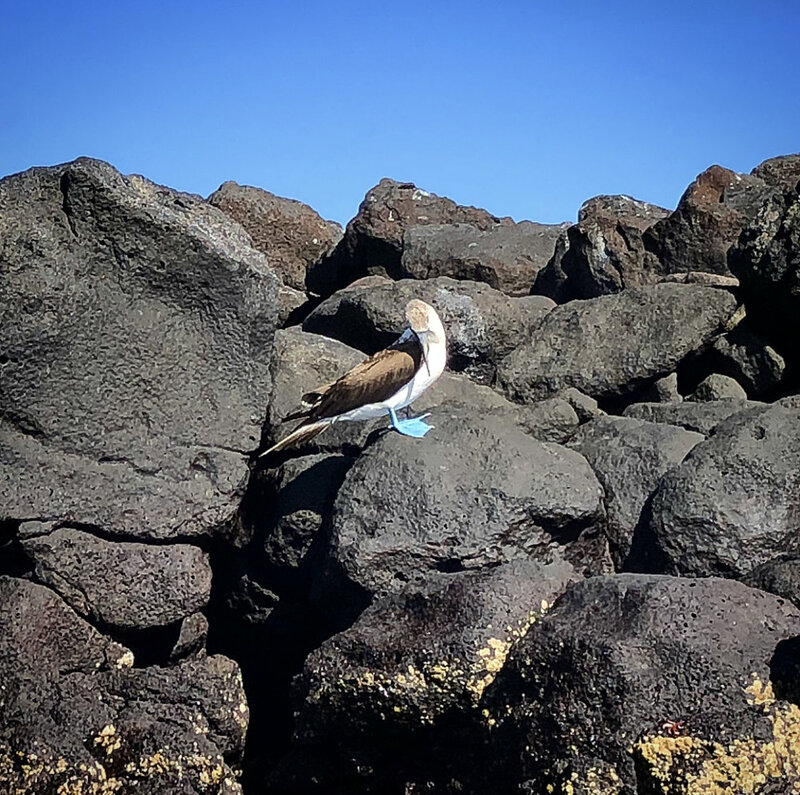 I was fortunate enough to travel to the Galapagos for an eight day cruise with National Geographic and Lindblad Expeditions. Like anyone in this situation, it was imperative I find the correct watch for the trip (you see where this is going, right?). My choice was pretty clear from the outset. But given that my bank account didn’t allow me to go out and, you know, actually buy a Galapagos Islands Edition Aquatimer for my sojourn to the equator, I did the next best thing – I begged IWC to lend me one! So, enjoy the pics. And here’s to IWC for trusting me enough to lend me one of their premier dive watches for over a week!